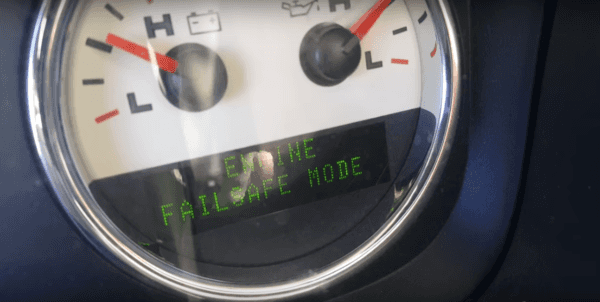 (WATCH) Can a 50 cal stop a running engine? Humans are curious animals. Gun aficionados love shooting at anything that moves. So some curious mind with an old, almost unserviceable vehicle and a powerful .50 cal rifle decided to answer this question: Will a .50 caliber shot stop a running engine? Sometimes the best way to take out an incoming vehicle-borne IED is just to shoot straight through the engine and shut the vehicle down in its tracks. Gun owners shoot at targets, pumpkins, bottles, trees, wild animals, etc. It’s not a far stretch to take aim at an old truck with a .50 cal to find out if it would still run after a being shot. The process of finding the answer is as interesting as the answer itself. With more than 50 million views to date, the possible death of a truck seems to be one of interest. Vehicle-borne IEDs are one of the most common threats that the military and coalition forces face. One of the ways to make sure that these destructive forces don’t reach their intended target is by disabling them with specialized rounds through the engine. Richard of Full Mag says that shooting through the block is nothing to get all excited about since it will just spring an oil leak, so he is taking a different approach. Let’s see if he can spark a flame. Round one pierces, but fails to destroy the engine. In fact, the truck still starts. A little smoke coming from the engine wasn’t enough to indicate significant damage. “Take a licking and keeps on ticking,” said the truck owner. The truck is clearly a challenge for the .50 caliber, leaving some to wonder whether or not this test will be successful. He said it was running off maybe six cylinders but now it’s running off four. However, even in engine fail mode, the truck is trying to start. Although the truck is barely running, the .50 caliber didn’t quite put a complete stop to it. Stay tuned for an upcoming video where he says he is going to finalize the process with a cannon. But will that be enough to take old Betsy down?